As part of the European Immunization Week I was asked to publish a blog post about vaccines, as this is a topic I have written extensively about, and also travelled around Norway and other European countries to talk about for lay people and health authorities. A while ago the World Health Organization (WHO) did an interview with me which today has been published here. You can both read the text and listen to the audio. The following is a blog post I originally published in Norwegian back in October 2014, but with the help of freelance journalist Malin Bring, who has been hired by WHO to work on this project, I can now present this English version. Some of the links are unfortunately in Norwegian, but I have linked to Google Translate versions of the blog posts and articles. It is an honour for me to be part of this important campaign to promote vaccines, and I hope you’ll enjoy the read and also read and listen to the interview on the WHO’s website. Norway has introduced a rotavirus vaccine; the eleventh vaccine in the recommended childhood immunization schedule. Not everyone likes it. Yesterday, the 11-month-old boy was discharged from hospital, after being hospitalized for two days as a result of dehydration. 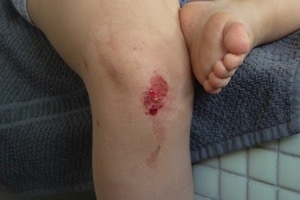 It was caused by the rotavirus. Mum Vigdis Gammelsæther has been worried about her son and the pains the rota virus have caused him. Yet she is not convinced about the necessity of a vaccine. ”The vaccine must be given during the first six months, so Stein was too old. Now that he has been through this ordeal, I think he would have avoided the strain, had he been vaccinated beforehand. At the same time, I think being allowed to have a childhood disease acts as a prevention later on in life. It strengthens the immune system in the long run,” says Gammelsæther. When I hear this claim, I suspect that these parents may not be quite aware how vaccines work. Quite frankly, I suspect that some believe that a vaccine consists of «chemicals», which are injected into the body in order to reside there to protect the recipient against specific viruses and bacteria. The idea seems to be that a vaccine works in place of, or in addition to, the body’s natural immune defenses. Therefore, the immune system does not get the training it should receive in a young body. This is obviously not so. The substances in a vaccine disappear from the body within a few days. It is not the substances in themselves that protect us. It is our immune system. The only thing the vaccine does is train the immune system to recognize a particular pathogenic organism, so that if we are one day infected, our immune system is ready and prepared for the fight. This is still a completely natural process, it just works a little bit better than it would do without the vaccine workout. A vaccine thus strengthens the immune system. That is the way the vaccine works. It is the only sensible and undeniable way to strengthen an immune system. And by «strengthening», I mean making the system more targeted. The system is taught which kind of invaders are dangerous, and therefore need to be attacked before it is too late. It is hard to know what Vigdis means by claiming that the immune system is strengthened when we fall ill. It makes no sense in theory, and furthermore we know from several studies that this is not the case in practice either. Vaccinated children have a better immune system than unvaccinated children, in the sense that they are in no way harmed by vaccines, but are rather able to recognize and fight more disease-promoting organisms than the immune system of an unvaccinated child. If the immune system really was weakened by vaccines, we would have seen that vaccinated children are more prone to illnesses later in life. This is not the case. They are not more asthmatic. They do not have more allergies or infectious diseases. 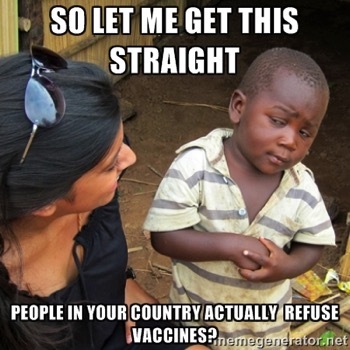 The only thing a vaccine does is reduce the risk of getting the diseases one is vaccinated against. So vaccinated children are overall healthier than unvaccinated children. It is that simple. This is the classic argument that «natural is better», and since vaccines are a modern invention that we add to the body from the outside, they must be unnatural. Implicitly she believes that being sick is natural, because this is how it has always been, and this is what people have been accustomed to at all times. The only problem is that she sees it in an extremely short perspective. There is nothing natural with today’s infantile disorders. On the contrary, they are a rather recent phenomenon in human history. Most of our modern endemic diseases only appeared when we started to keep livestock. Most of our domestic animals such as goats, pigs, sheep and cows, have only cohabited with us for around 6,000 to 10,000 years. Homo sapiens are about 200,000 years old, and we have human-like ancestors from millions of years ago. This means that these common infectious diseases are very new in the light of human history. They have only been around for the last 3-5% of the existence of Homo sapiens. As if that were not enough, there are parts of the world where these diseases have only existed for a few hundred years. For instance, several of these diseases only reached the Americas when the Europeans invaded the continent. For these people, our infectious diseases must be said to be very unnatural and, in biological terms, a dramatic intervention into the their human bodies. So the question is: When people who have lived over 95%, perhaps far more than 99%, of their history without these diseases, when these people suddenly have them added to their lives, is it then fair to call it tampering with nature if one tries to treat or prevent the diseases ? Is it not on the contrary more accurate to say that one tries to lead people back to their natural state, namely a life without these very modern diseases? What Sølje believes to be natural is in fact, seen in a historical perspective, entirely unnatural. In human history, we have had these diseases for a very brief time. The rotavirus is one of the viruses that is believed to appear only after humans began keeping domestic animals, i.e. at the earliest 11,000 years ago. When Sølje strives to eat «natural food» based on principles from a time that was «more natural», and at the same time believes it to be natural to have modern diseases, it is a contradiction in terms. 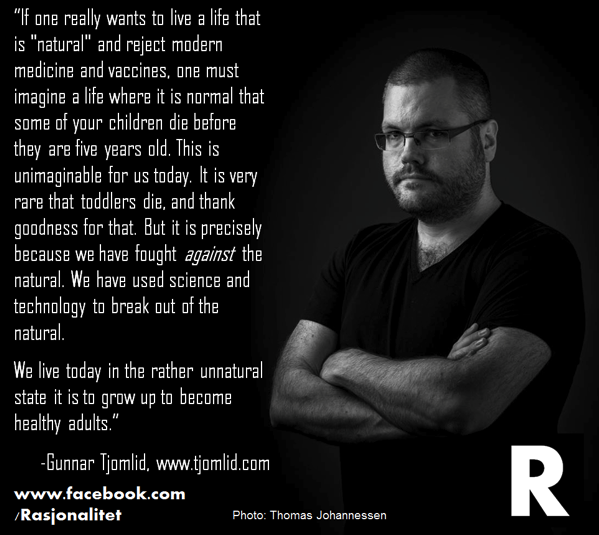 ”I find it startling and frightening that Norwegian children are recommended to have no less than eleven vaccines. Our society has no time or means to afford a sick child,” she says. I agree that the rotavirus vaccine is not an essential vaccine for children. Should you drop a vaccine, this is perhaps the one you should choose. Not because it is dangerous; the risk of complications is much higher if you let your child become ill than from the vaccine itself, but because the disease caused by the virus is not life threatening and only rarely causes persistent complications. One might argue that the introduction of this vaccine, what with the uncertainty that part of the population already feels about vaccines, may cause more harm than good. 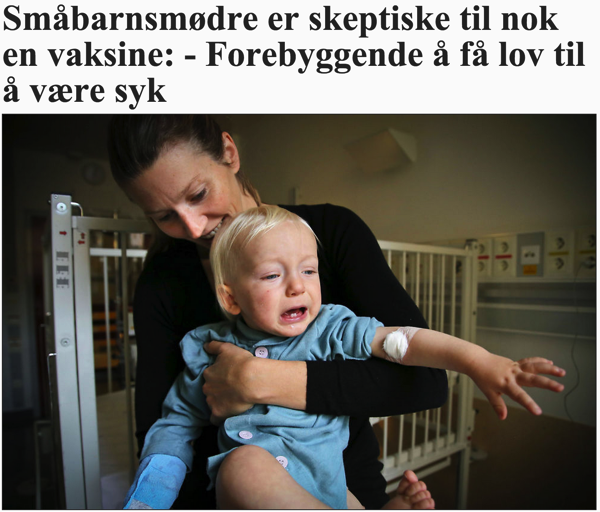 When the tabloid VG chooses to run a big story on parental fear of vaccines, it merely creates more fear and uncertainty, which may in turn affect the important vaccines in the original vaccine schedule. But this is Norway. In the developing world, the rotavirus vaccines are extremely important. On a global scale, half a million children die from the virus every year. This means that the rotavirus vaccine could save hundreds of children’s lives each and every day. By offering the rotavirus vaccine to poor countries, we prevent an entire school of children from dying every day. Think about it. A study that looked at the US childhood immunization programme found that, while in the late nineties, a child received many thousands of antigens, in 2012 this number was reduced to a mere 315. This is because the technology behind vaccines is improving. They are becoming more targeted, and, from using all or parts of the bacteria or viruses in a vaccine, scientists are now using only certain specific proteins. The introduction of Combination Vaccines also means that you receive fewer additives in vaccines – even though these are already occurring in harmless, microscopic amounts from before. It is thus wrong to look at the number of vaccines alone, without taking into account that these vaccines are constantly being improved, and thereby «burdening» the body less. But perhaps the most important point of all is to remember that children do not live in a sterile environment in their everyday lives. One can sometimes get the impression that parents think children only ingest pathogenic microorganisms and drugs when they are either infected by a known child illness, or when they receive a vaccine. Viewed in that light, it seems as if eleven vaccines constitute a fairly extensive increase in the number of times a child’s immune system is challenged. This is of course not so. We are bombarded with bacteria and viruses all day long. Every time we breathe, pick our nose, rub our eyes, lick our fingers, or graze a knee, we are subjected to a huge number of foreign objects which the immune system must fight. Kiss your child once, and you have bombarded it with many times more antigens than it receives through an entire life with vaccination. When children are exposed to thousands of potentially pathogenic microorganisms every day, it is absurd to claim that their immune system is adversely affected, or «oveburdened», by a handful of additional antigens from vaccines during their first year of life. This argument is also somewhat bizarre because it does away with the previously used argument that children can benefit from exposure to pathogenic microorganisms. Vaccine opponents even arrange infect rings so that children can be infected. It’s so healthy, as you know. So on the one hand vaccine deniers claim that children’s immune systems need to be challenged to be strong, while on the other hand, they believe that the immune system is overburdened by a fraction of more antigens from vaccines … Incomprehensible reasoning. If one really wants to live a life that is «natural» and reject modern medicine and vaccines, one must imagine a life where the normal outcome is that some of one’s children die before they reach the age of five. This is unimaginable for us today. It is very rare that infants die, and thank God for that. But it is precisely because we have been fighting against the «natural». We have used technology to break out of the natural. Today we live in the totally unnatural circumstance of being able to become older than five years of age. Call me crazy, but I actually think that is a good thing.